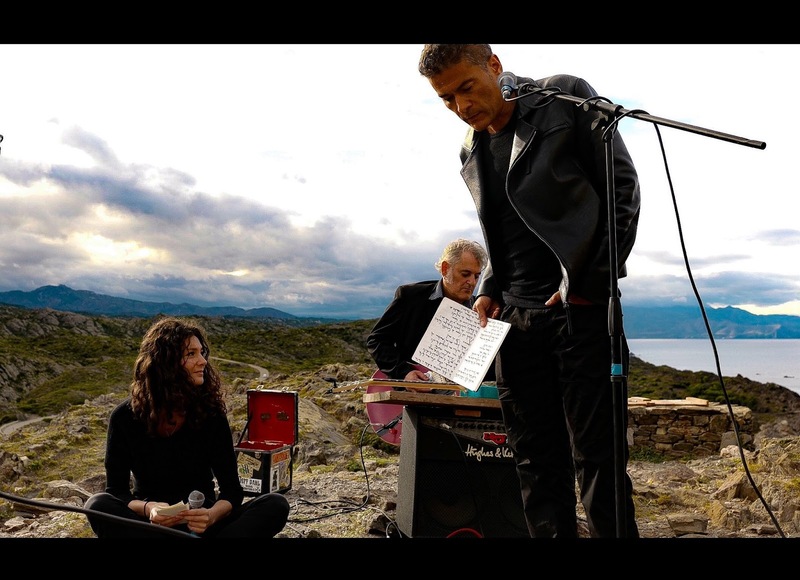 3 Days before the full moon on October the 2nd Jean Noel Chazelle Have done a reading of 70 poems from his first book in Cadaques Cap de Creus .Two arranged Guitars played by Juan Montero. The Actress Gala Hermann and himself as polyphonic voices. An incantation to the wild wind and the vibrating rocks from the tramontana Republic.